Who stole Waldo? 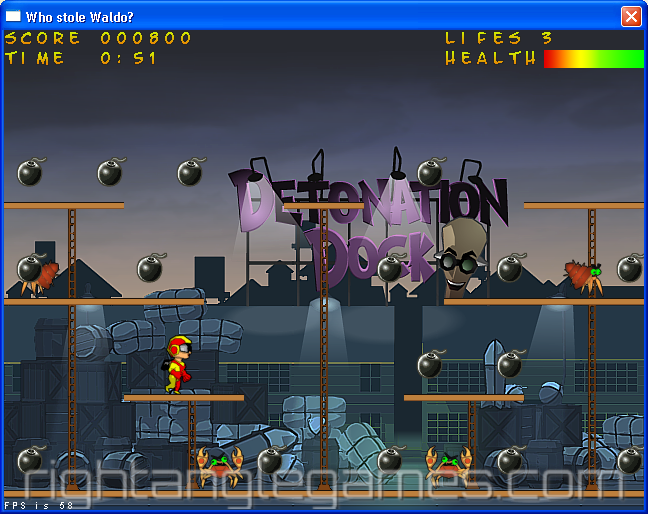 is a typical Jump'n'Run platformer game. It was coded for the HeroesQuest PlayBasic 2008 competition. 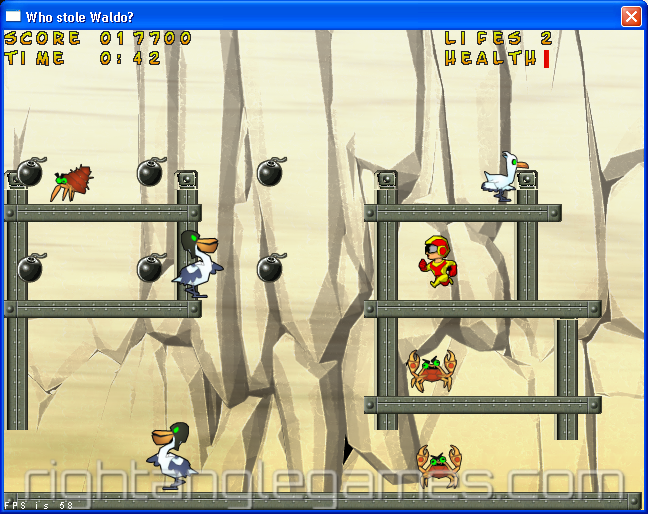 I always wanted to code a platformer so I didn't hesitate to join the competition at the beginning of June 2008. A few days later BlinkOk (a great graphics artist) offered his graphics for the competition. And although they didn't match any tileable size nor the theme I basically had in mind I couldn't resist but chose to use them! Just one more time: Thanks a million to BlinkOk for creating and providing such great graphics! It was a huge motivation push to create a game using marvelous graphics! A lot of time was spent to code tools, data structures and file formats to "rip" and integrate the given graphics files. Coding the "real" game play started much too late so a lot of features I had planned were to be dropped to finish a playable game in the given time frame. The download on the right contains the original competition entry complete with source code. 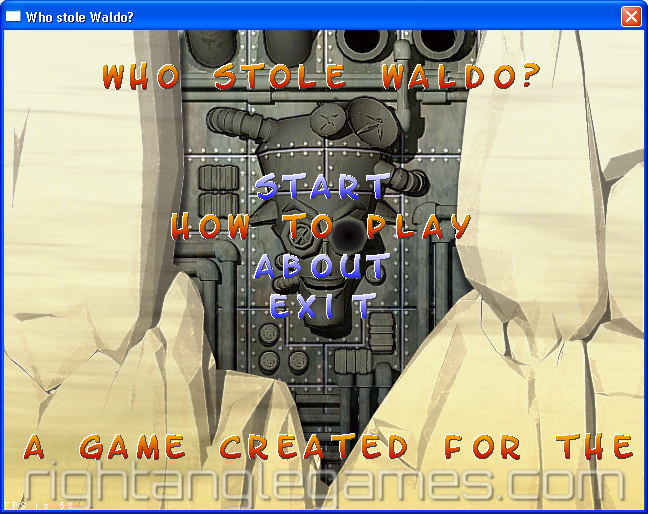 Feel free to play the game and have a look at my source code. Maybe you'll find some code snippets to reuse? If you like the game, why not vote for it here? You can download the game plus the full source code here!